Matilda Elizabeth. 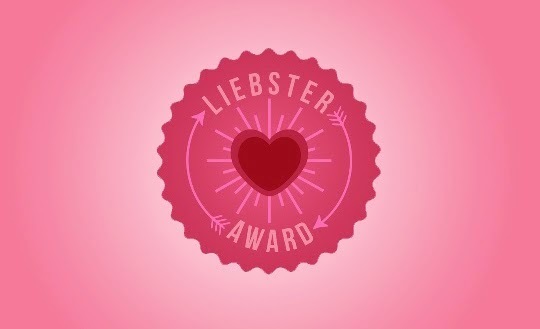 : The Liebster Award! 1. What is your favourite quote? 2. If you could choose to stay a certain age forever, what age would it be? Even though I've not reached it yet, I think somewhere in my mid-late twenties - I feel like I'll be in my prime then! 3. If you knew the world was ending in 2015, what would you do differently? Make sure that everyone I love knows how much I love them, and spend all my time with them. 4. What is your favourite meal? 5. What inspired you to become a blogger? Well, I always think a night out (or a fancy outfit) isn't complete without a pair of heels, but for day to day life I would always say flats. 7. What are your hobbies? Reading, singing, baking, playing with the dogs. 8. What is your all time favourite movie? Either 10 Things I Hate About You or Lilo & Stitch. 9. Something you cannot live without? Aside from my family/boyfriend/friends/dogs, I think I'd have to say sugar... I just can't resist treats and snacks! 10. What’s the beauty rule you preach, but never actually practice? I don't think I have any - I'm pretty obsessive when it comes to skincare and moisturising, etc. 11. What’s one of your nervous habits? I do this weird twitchy thing with my fingers, I've done it since I was really young. 7 My beautiful border collie Jenny is 15 - we've had her since I was six years old! 8 This year I've seen McBusted and Dolly Parton - amazing! 1. What is your favourite thing about blogging? 2. Do you have any tattoos? 3. Shimmery or matte eyeshadow? 4. What is your go-to hairstyle? 5. Do you have any pets? 6. Where would you love to visit, and why? 7. What is your dream job? 9. What is your pet hate? 10. Do you have a favourite dessert? 11. What is your favourite book? Thank you again to Nicole for nominating me! Matilda! Thank you so much for nominating me! That is the sweetest thing! I sincerely appreciate it and look forward to answer your questions! I'll let you know when the post is up. (Probably in a few hours!) thanks so much sweetie! Thank you so much for nominating me Matilda!! I can't wait to answer your questions! Here's the link! I just posted it :) http://victoriaaexplainsitall.blogspot.com/2014/08/the-2014-liebster-award.html Hope you enjoy it! Thanks again for choosing me! 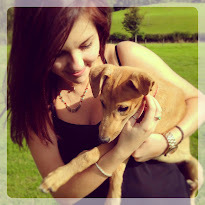 21 year old literature graduate, with a love of all things beauty and canine. Picture Window theme. Theme images by blue_baron. Powered by Blogger.